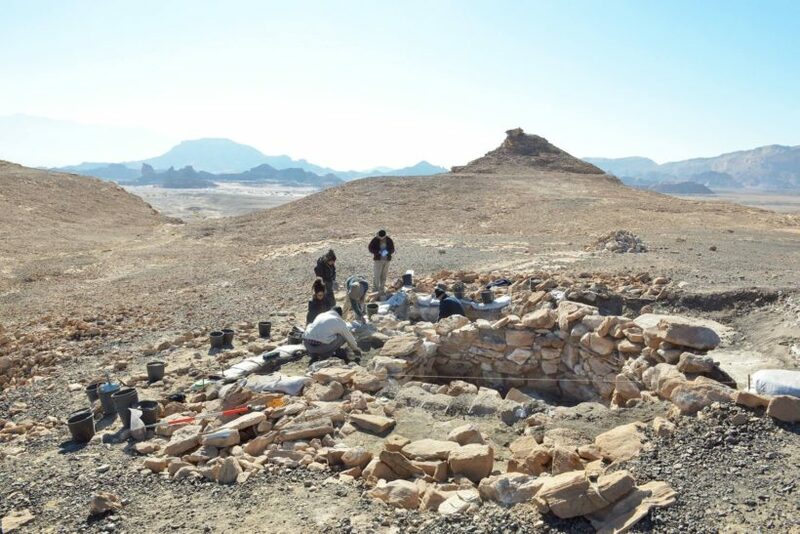 (Ido Efrati and Ruth Schuster, Haaretz) ISRAEL — Over 100 pieces of cloths dating to the 10th century BC in Israel have been discovered at the Timna copper mines, deep in the desert. The textile pieces, most made of wool but some of linen, shed the first light on fashion in the days of King David’s kingdom. They were of an unexpectedly high quality, equivalent in their weaving to fabrics made a thousand years later by the Romans, said the surprised archaeologists. “Most of the fragments were tiny, some only 5 by 5 centimeters, but some were big,” Erez Ben Yosef, head of the Tel Aviv University archeological team that made the discovery, told Haaretz. An excavation team has uncovered 3000-year-old textiles in Israel’s Arava Valley, dating back to the era of Kings David and Solomon. The researchers from Tel Aviv University found the ancient organic materials preserved within the Timna copper mines. According to the bible, the copper mines at Timna were operated by Edomites, who had become subjected to Jerusalem after King David’s conquests. The archaeologists surmise that soldiers were sent by Jerusalem to supervise the mining operations, protect the site and collect tax from the Edomites. Therefore, the textiles found at Timna are believed to have belonged to the Edomite workers, not to Israelites per se, but they’re the closest example we have for fashion in the days of David and Solomon. The pieces are tiny, some just 5 x 5 centimetres, but show differences in colour, weaving, and ornamentation techniques. Elaborate fabrics may have been worn by copper craftsmen, who held a highly respected position in society. Aside from the textiles, the Tel Aviv researchers also found fabrics they believe served as saddles (used to ride donkeys) as well as cloth sacks, tents and ropes. 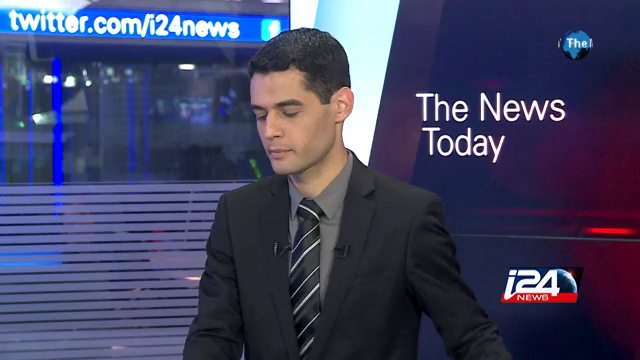 “We also found the donkeys’ stable,” Ben Yosef adds. The archaeologists assume the textiles are remains of clothing…used by the copper-workers themselves. The latest thinking about the Timna’s Edomite metal-workers is that they were not lowly slaves…. They were a highly respected elite doing skilled work. ….. The archaeologists also recently discovered thousands of seeds of the Biblical “Seven Species” at the site — the two grains and five fruits considered unique products of the Land of Israel. Some of the seeds were subjected to radiocarbon dating, providing robust confirmation for the age of the site: some 3,000 years old. Reprinted here for educational purposes only from Israel’s Haaretz news. May not be reproduced on other websites without permission from Haaretz. 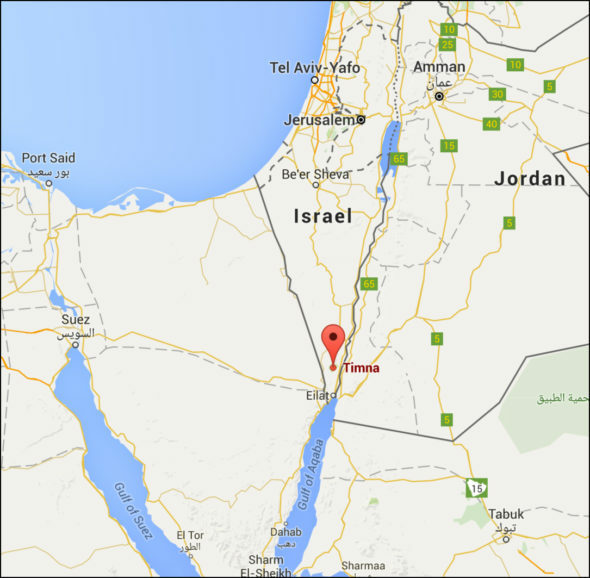 1. a) Where are the Timna copper mines? b) What do many believe the Timna copper mines to be? b) What textiles were found at the Timna copper mines? c) Hold old are the textiles that were found? 3. 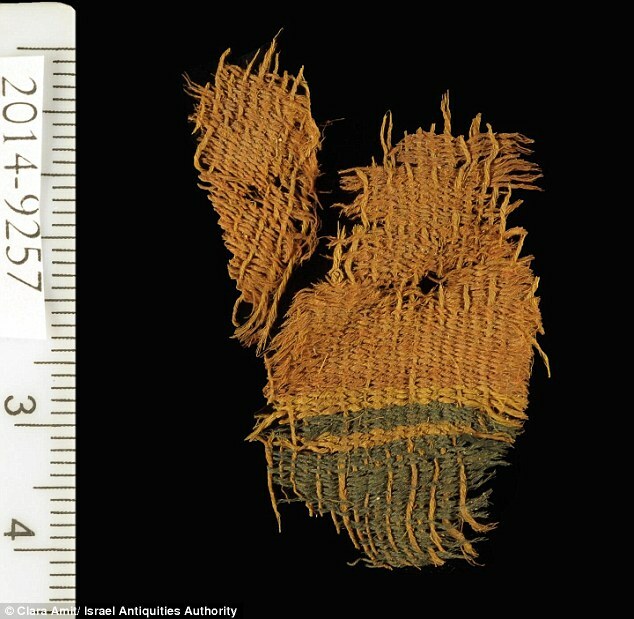 What is surprising about the textiles found? 4. 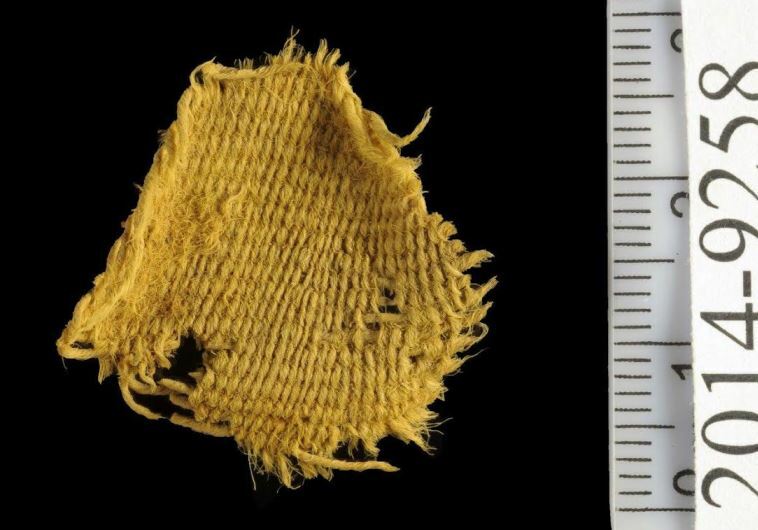 How has this fabric been preserved for almost three thousand years? 5. a) What is the significance of this find? b) Why are archaeologists unlikely to find textile samples in Jerusalem (or anywhere else in the Arava Valley)? 6. What other fabrics were found in addition to textiles? Visit the Central Timna Valley facebook page.